Repair Alcor Micro SC708,FC8708,AU6987 and AU 6690 Chip controller .Alcor Micro SC708 recovery tool can fix any USB flash drive that have Chip vendor AU6987 and AU6690 .Download Alcor Micro SC708 Format tool and repair your flash drive . Alcor Micro SC708 format tools allows to you to format and repair any USB stick that have the following chip controller "Alcor Micro SC708,FC8708,AU6987 and AU 6690 " . First Download Alcor Micro SC708 Firmware update software , extract the files .You will find a group of software that can fix this chip vendor "Alcor Micro SC708,FC8708,AU6987 and AU 6690 . Try every firmware software one by one .If any program doesn't open with you , use administrator authority "right click then run as administrator " . You must be sure that your usb flash drive chip controller is one of these chip controllers "Alcor Micro SC708,FC8708,AU6987 and AU 6690 " .Download Chip genius and get your flash drive report .The following chip genius report is a previous report that was sent from one of our friends and his problem was fixed by this firmware software mentioned in the article . Insert your USB flash drive to your PC , then open Alcor Micro SC708 Format tools folder . Try firmware software one by one from the SC708 Format tools folder until fix your problem . If your flash not fixed by this software , please write a comment with your flash drive chip genius report . 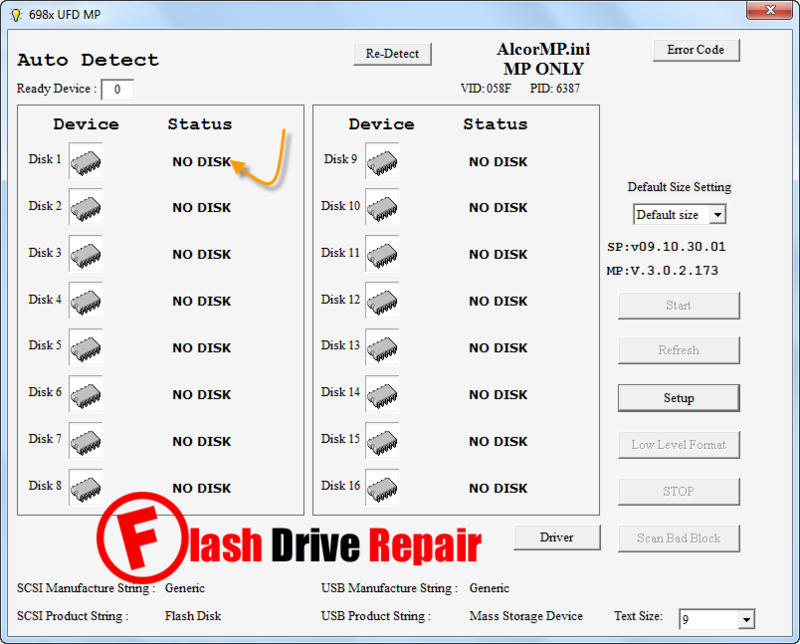 You can search about your USB flash drive software in this article >> Best USB flash drive repair software " . If you have a memory card , search in this article >> Best Memory card format software << . actual usb drive is KINGSTON DATA TRAVELER 8GB is this fake?